Cozy Cove is a beautiful Douglas Lake front home. It sits just on the edge of a private cove with water on three sides. 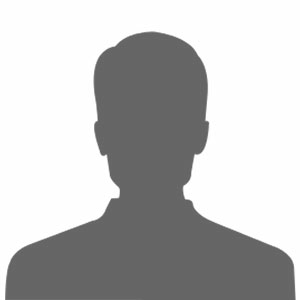 Cozy Cove has a private boat launch and large floating dock to fish or swim. 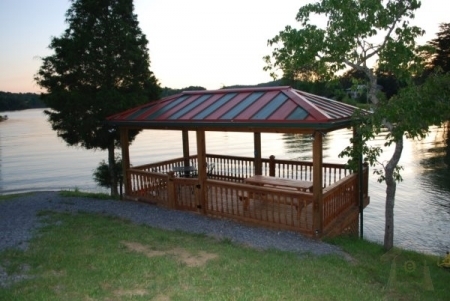 Watch the kids swim as you relax in the shade from the covered Gazebo overlooking the water. 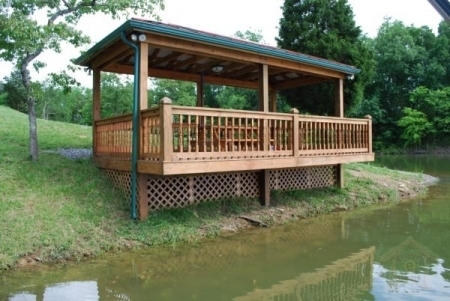 The Gazebo has lights for night fishing from the dock. This home has four spacious bedrooms, with the master bedroom having a private full bath & a waking view of the lake. The main floor is spacious with the living room and kitchen having a breath taking view of the lake. 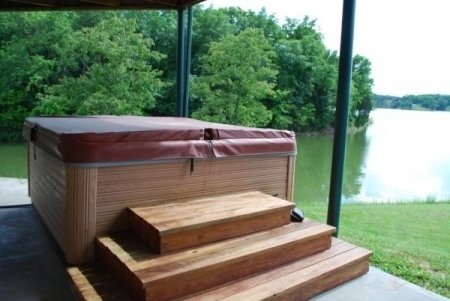 The porch completely wraps around so you can view all sides of the water. 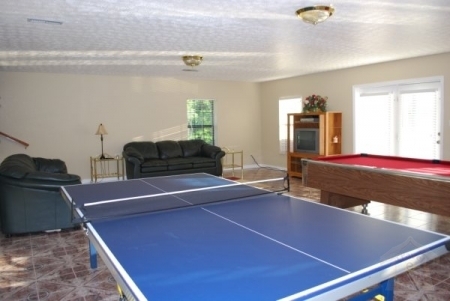 The family/game room is spacious and leads out to the lower deck and your hot tub facing the lake to relax in. You are steps away from the lake. 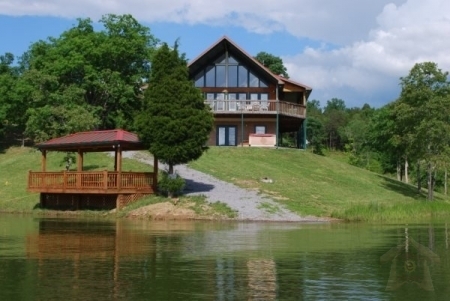 This is a piece of heaven on the lake.